N-of-1 trials provide a mechanism for making evidence based treatment decisions for an individual patient. They use key methodological elements of group clinical trials to evaluate treatment effectiveness in a single patient, for situations that cannot always accommodate large scale trials: rare diseases, comorbid conditions, or in patients using concurrent therapies. 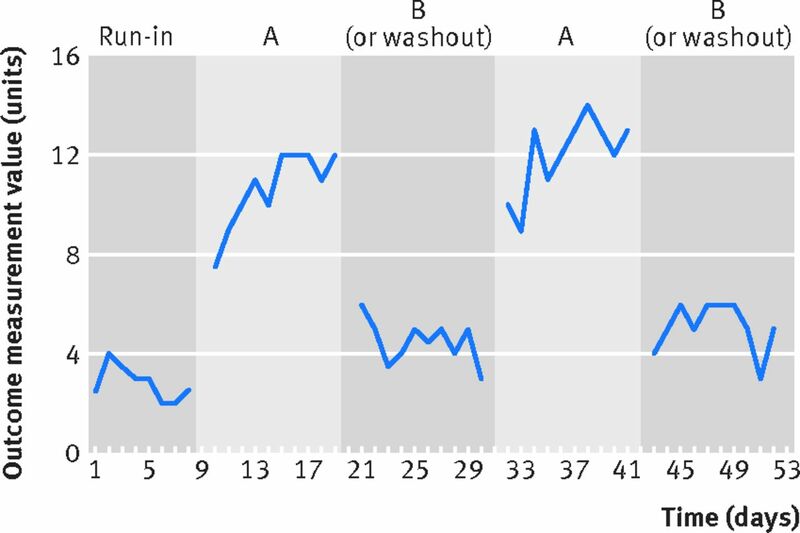 Improvement in the reporting and clarity of methods and findings in N-of-1 trials is essential for reader to gauge the validity of trials and to replicate successful findings. A CONSORT extension for N-of-1 trials (CENT 2015) provides guidance on the reporting of individual and series of N-of-1 trials. 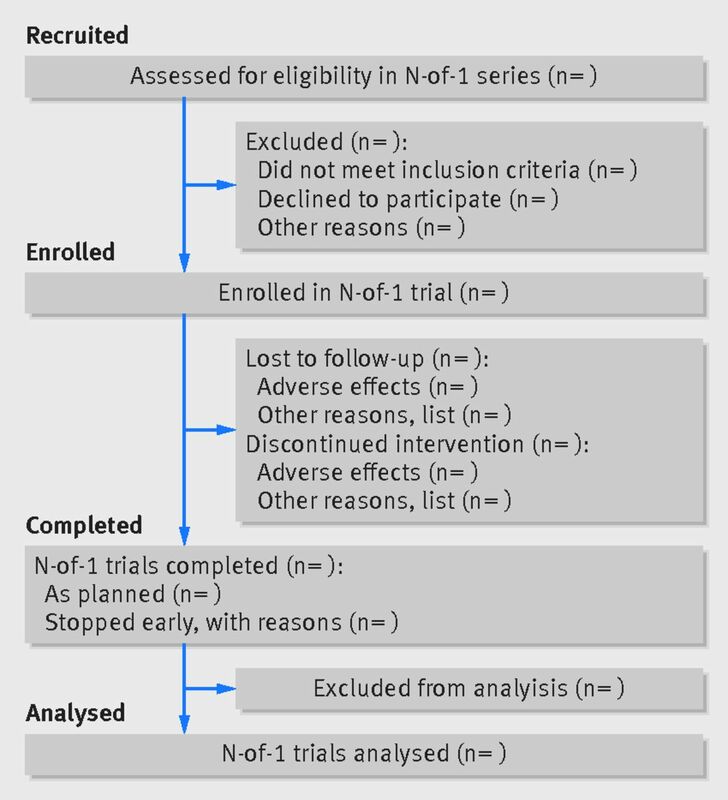 CENT provides additional guidance for 14 of the 25 items of the CONSORT 2010 checklist and recommends a diagram for depicting an individual N-of-1 trial and modifies the CONSORT flow diagram to address the flow of a series of N-of-1 trials. The rationale, development process, and CENT 2015 checklist and diagrams are reported in this document, as well as a CENT pictorial.